How do account balances build up? Do you have some credit in your energy account? Great! However, that money shouldn’t be sitting in your energy supplier’s bank account – let’s be honest, they are making enough already. Time to get a refund, especially if you are switching suppliers. Reports suggest that energy suppliers hold over £1 billion in credit that is owed back to their customers. So, how have you ended up with a credit in your account? This guide will tell you everything you need to know about being in credit with your supplier, including how this happens and what you can do. The most common reason is that you are paying your bills with a direct credit. This is a great way to pay as it usually gets you a discount and it removes one errand from your to-do list each quarter. You can also spread your energy costs over the whole year, rather than needing to pay a big bill in winter. However the amount you pay each month is based on an estimate of your annual usage, and this is never going to be spot on. In the end, you will likely have a credit in your account. If you notice a credit on your account during the summer, then it’s best to leave it there to pay for your higher winter usage. This way you can pay the same amount year round. But if you have a whole lot of credit in your account or it stays in credit even in winter, then you should get a refund. Take a look at your last energy bill. It will say Credit or CR next to the balance if you are in credit. You should also check if this bill was based on a meter reading or is an estimate. Your energy company will need an actual meter reading to issue you a refund. If your last bill is an estimate, then you will need to read your meter and give it to your provider. If you are not sure how to read your meter, then read our guide here. You then need to call your supplier and ask for a refund. 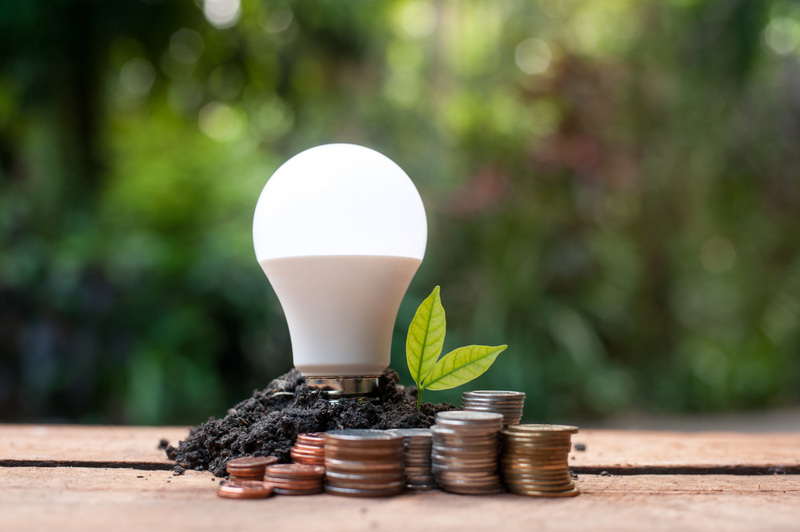 Some of the energy companies have a policy where they will automatically send you a refund if you build up a big credit. But with others, you need to ask, which might be the case for you. Depending on the supplier, you might have to fill out a form to get your money back. While you are on the phone, ask your supplier to review your direct credit. If you are consuming less than they estimated, then you should pay less too. Save yourself the hassle of having to ask for refunds in the future and only spend what you need to. That’s all very well, but what if you want to switch suppliers? Can you get that money back? You certainly can, and it won’t even be any extra hassle. As part of the switching process, you will need to read your meter and give the details to your old supplier. They will use this to send you your final bill. If your account is in credit, then some of your credit will be used to pay this last bill. Any leftover credit will be refunded straight to your bank account. Bet you didn’t think it would be that simple. But we can avoid all this life admin in the future by keeping our credit in check. Better yet, ask for a Smart Meter to be installed. A Smart Meter will automatically send your usage to your energy company so that all your bills will be accurate. When switching suppliers, have a recent bill handy so that you can give your new supplier an accurate sense of how much energy you consume. This way they can base your direct credits on reality, so you pay the right amount. What if your credit is with a supplier you switched from ages ago? It is still possible to get old credits back. Any credit on an account under your name is rightfully yours, and your energy company needs to work with you to refund it. This still applies if you are no longer with the provider. If you think you might have some credit remaining with an old provider, your best bet is to give them a call. If you have any old bills from them, this will help, especially if you have the final bill. Your bill will have your customer number so that they can quickly find your file in their system. Since you won’t have your final meter reading from when you switched suppliers, you will need to rely on their records as to whether there is credit in your account. If you have your final bill, then you have evidence of what you are owed, but hopefully, both records will match, and they will be happy to refund you. Even if you don’t still have a bill or customer information, it is still worth ringing the supplier. Give them your name, address and the approximate time you were a customer, and they should be able to locate their record of your account. If your supplier won’t refund your money or are taking too long, you can contact the energy ombudsman for help, especially if that credit is a big one. So it’s simple! Give your energy company a call now and get that credit back in your pocket.